The Tanzanian-German Centre for Eastern African Legal Studies (TGCL) inaugurated its new academic year 2016/17 with a formal opening ceremony on 3 October 2016. 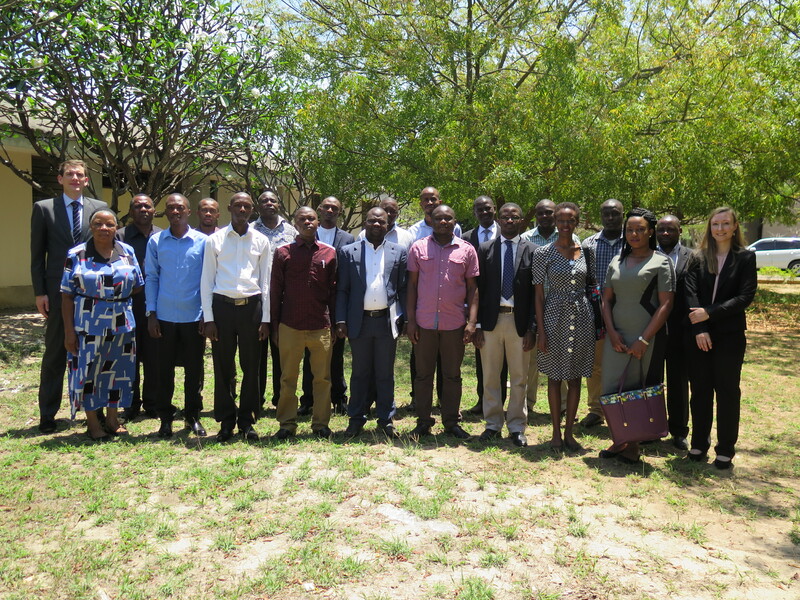 At this event, 15 new LLM students and two new PhD students were received by Dr Evaristo Longopa, University of Dar es Salaam School of Law, by TGCL student adviser Hon. Dr Steven Bwana and by the TGCL management team, consisting of Mr Johannes Döveling, Ms Carolin Herzog and Ms Mary Mgaya. After words of welcome by Dr Longopa on behalf of the Dean of the School of Law, Mr Johannes Döveling gave an overview on the TGCL and its activities. Student adviser Hon. Dr Steven Bwana followed with a few words of advice, pointing out the crucial role of integer and well-trained lawyers for the East African societies. After introducing the students to the Academic Programme 2016/2017, Ms Carolin Herzog briefly reported on the planned study trips to one of the capitals of the East African Community and to Europe. After a question and answer session the event found a successful conclusion in a joint lunch. Out of the 17 newly admitted students, one is from Burundi, five are from Kenya, two from Rwanda, five from Tanzania and four from Uganda. Up until today, the TGCL has admitted 128 students to its study programmes, whereas half of them originates from outside of Tanzania.